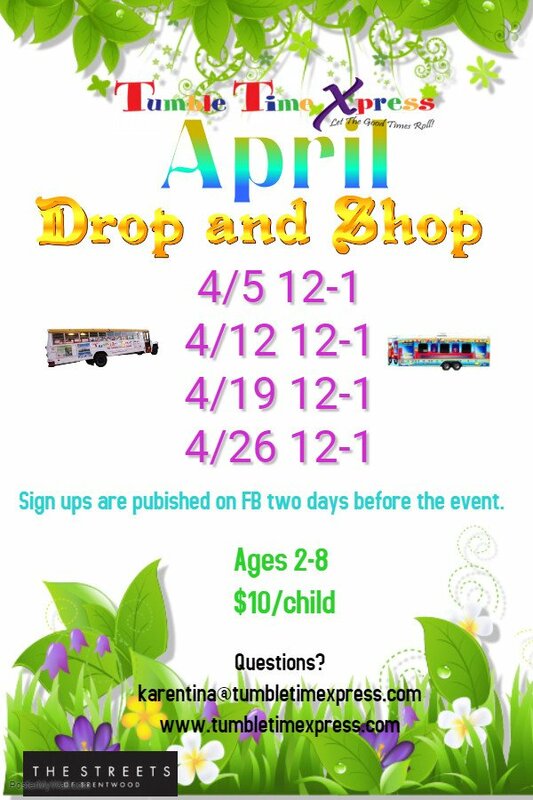 Let the good times roll when you shop & drop (your kids) at Tumble Time Xpress! Tumble time is available to children ages 2-8 and takes place in the main promenade, near the Xfinity store. $10/child. Visit the Tumble Time Xpress Facebook Page the Wednesday morning before each event to sign up! If you have any questions, contact Karentina Fujinaga at 925-308-6958. Click here for more info on Tumble Time Xpress.